Above: Nathan Krasnopoler, who never regained consciousness after a collision with a car that crossed in front of him in a Baltimore bike lane. 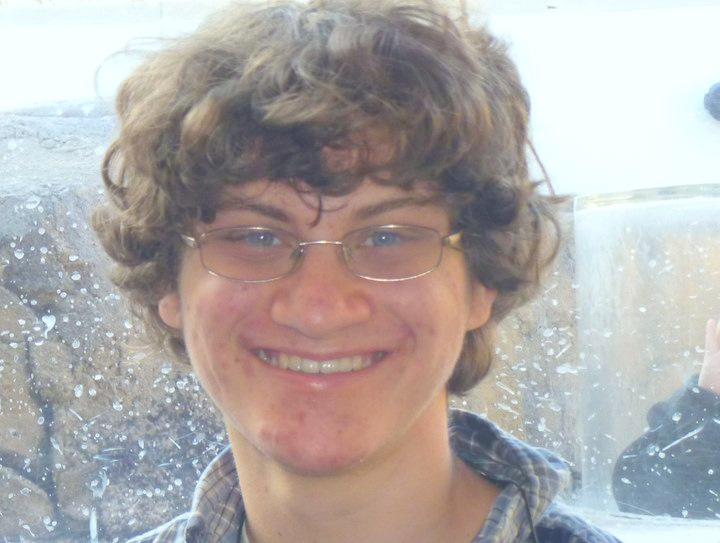 Nathan Krasnopoler, the 20-year-old student left comatose since a Feb. 26 collision with a car that crossed in front of him in a Baltimore bike lane, died Wednesday morning at a Howard County hospice facility, his family has reported. According to a post on Nathan Krasnopoler’s Facebook page, where family members had been offering updates on his condition, Nathan died peacefully Wednesday, surrounded by family at Gilchrist Center in Howard County. He had been moved to that facility from the Johns Hopkins Bayview Care Center on Aug. 4. The Johns Hopkins University computer science major, remembered by family and friends for his independent spirit, powerful intellectual curiosity and gentle manner, never regained consciousness after the crash. According to police, Krasnopoler had been riding on the West University Pkwy. bike lane when a car driven by Jeanette Marie Walke turned right in front of him. The cyclist crashed into the side of her car and then became trapped underneath it. His lungs collapsed and the loss of oxygen lead to the brain injury that rendered him comatose. The case quickly inflamed emotions around the hot-button issue of the rights and responsibilities of motorists and cyclists. But when a Baltimore Police Department spokesman suggested, soon after the incident, that the bike rider had been at fault, the cycling community was incensed and police officials apologized. Slutkin, of the Baltimore firm of Silverman, Thompson, Slutkin, White, said the settlement was unusual not only because it included license forfeiture but because the monetary payment came not just from the defendant’s insurance company but from her personal assets, as well. Slutkin, speaking for the family, said that one positive point should be noted. On August 10, 2011, Nathan Krasnopoler, loving son of Mitchell Krasnopoler and Susan Cohen; devoted brother of Elliot Krasnopoler and Emma Krasnopoler; beloved grandson of Irving and the late Rose Krasnopoler, Charlotte and the late Izzy Cohen, also survived by other loving aunts, uncles, cousins, extended family and many dear friends. Services at SOL LEVINSON & BROS., INC., 8900 Reisterstown Road, at Mount Wilson Lane on Friday, August 12, at 11 AM. Interment Hebrew Young Mens Cemetery – 5800 Windsor Mill Road. Please omit flowers. Contributions in his memory may be sent to The Nathan Krasnopoler Memorial Fund, C/O Johns Hopkins University, Whiting School of Engineering, 3400 N. Charles Street – Wyman 409, Baltimore, Maryland 21218. In mourning at 3833 Dahlgren Court, Ellicott City, MD 21042 beginning Sunday with a 9:15 AM service and continuing Sunday – Wednesady with sevices at 7:45 PM.